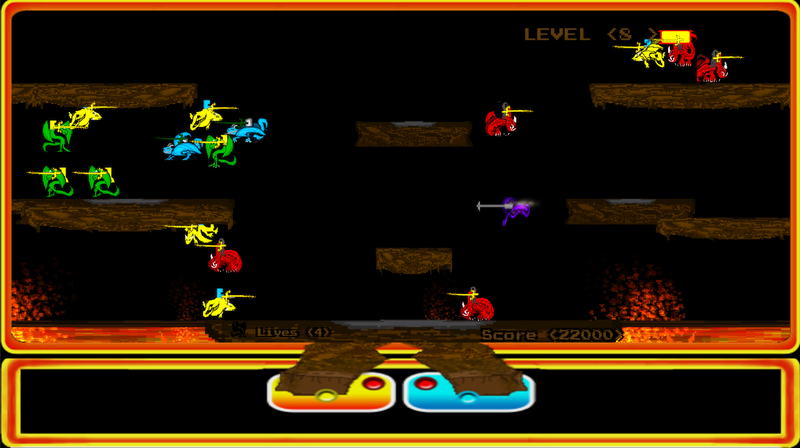 Duel Jousting, 2.5D Dragon Jousting! 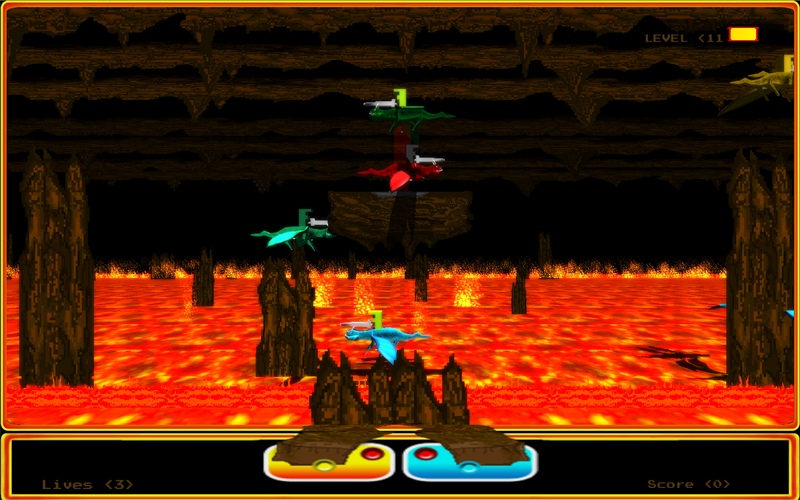 Project lead:	Duel Jousting was born out of the need for a more creative retro remake. 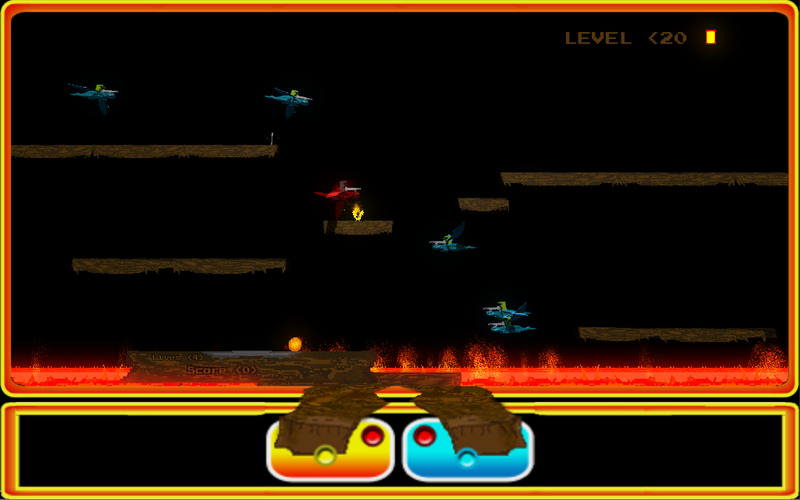 I grew up playing Joust and found it fitting to make something like it, but better and of course different. Lets face it, original Joust was too repetitive for today's standards so I improved on it in EVERY WAY while still retaining its original feel. Also as an indie developer I wanted to start with a game that has not been run into the ground in terms of a remake or clone. So in the end I created Duel Jousting to prove I have what it takes to be a great game developer. This game was a platform for me to get better as a game developer, and to keep the Joust gameplay alive. 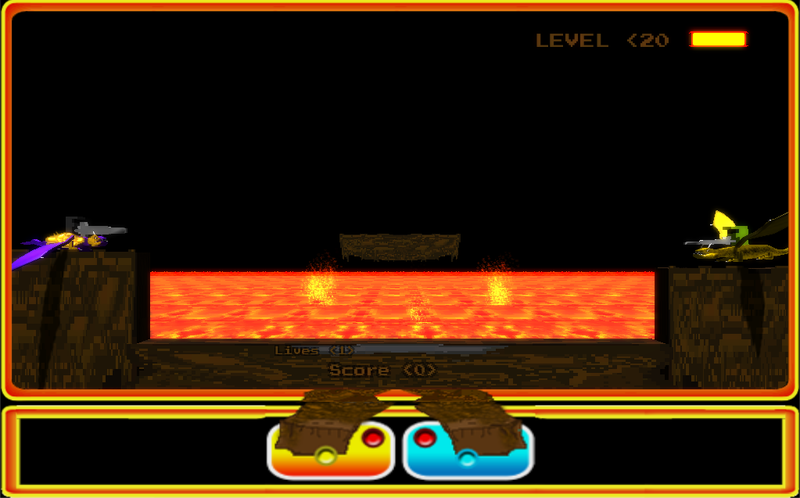 As retro game fans, we as a team hope you like the hard work that went into making this game. 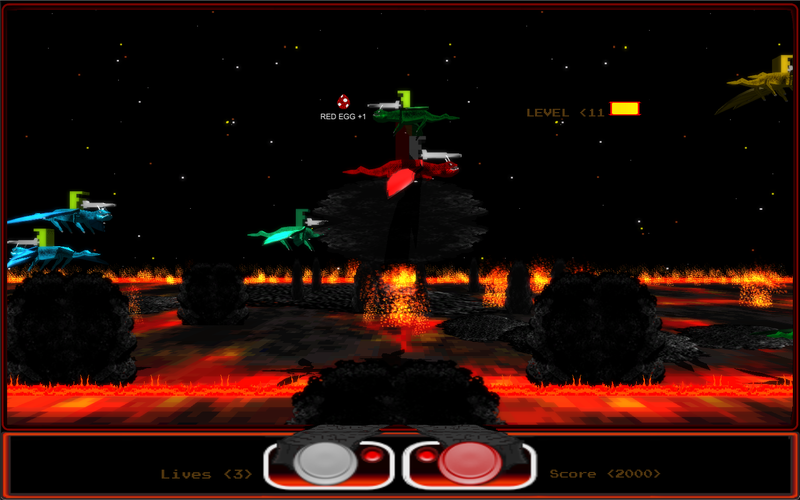 Duel Mode is a special mode with special rules: Each time you enter and are a different level you will be matched with an enemy at your level. Duel mode can only be done once per level since rewards are so high. 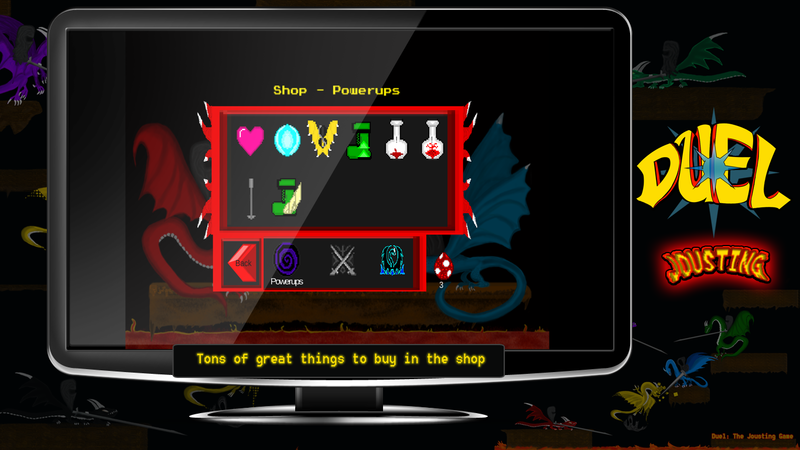 In Game money shop where you can buy power-ups, weapons and armor, and many other goods. Over a dozen Power-ups that randomly drop from the sky and help you win the battle. 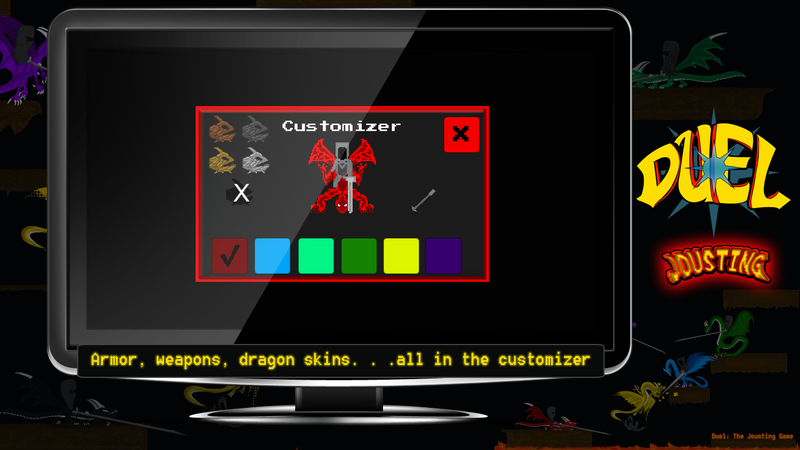 Customize your Jouster in the character customizer, change your dragons skin, suit up armor, etc. The blog-post through which this game was released is available at shadowinkdesigns.com. ShadowInk Designs studio currently specializes in action RPGs. The CEO: Tony Weintz has 7 years of programming experience and, 15 years of graphic design experience. Tony used to work only on 3D modeling and animation, but decided to go back to his roots of 2D sprite design and animation. ShadowInk Designs as a team has created 3 commercial games, and has released 1. More information on ShadowInk Designs Studio, our logo & relevant media are available here.